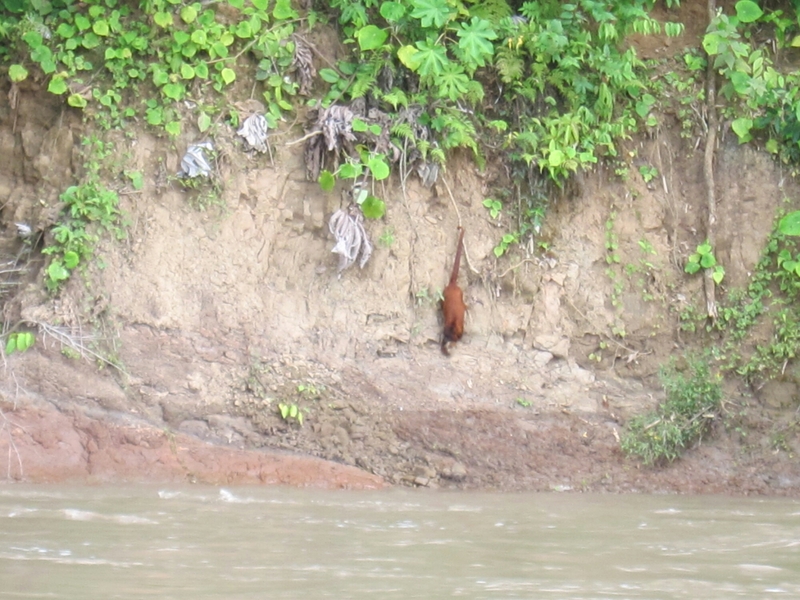 Madidi national park is one of the best places in South America to explore the Amazon in all its glory. Also, as Bolivia is still one of the lesser visited South American countries, you have a better opportunity to see more and explore further (for a better price too). 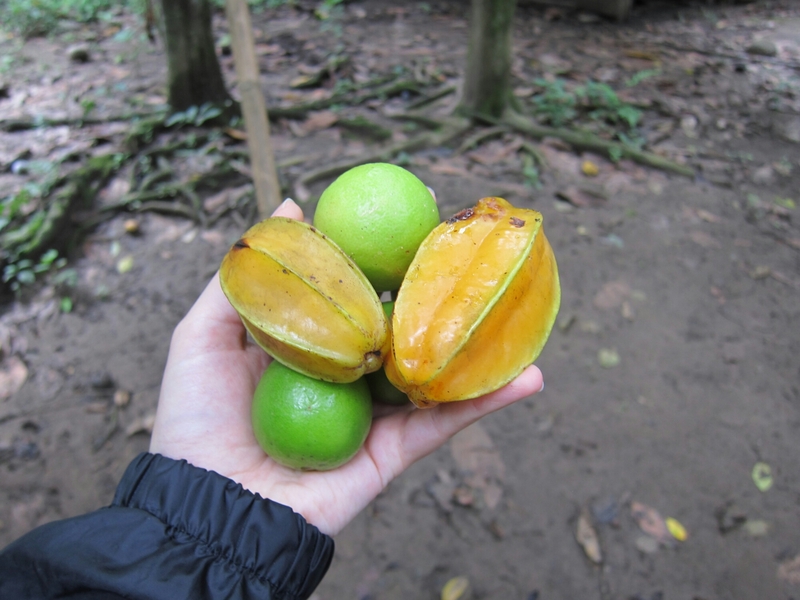 Having tasted some of the Amazonian fruits already, we wanted to get to know the real thing. 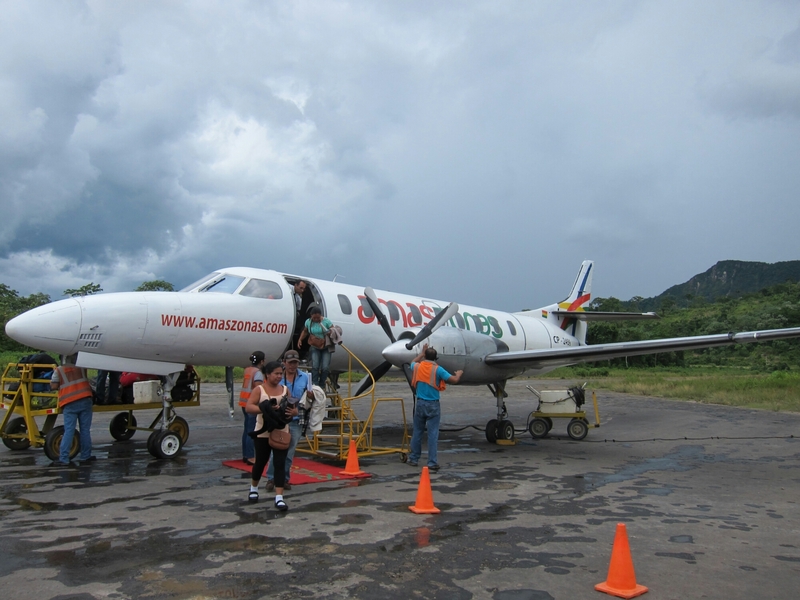 So we boarded the smallest plane I’ve ever been on, with only 2 members of staff, the pilot and the co-pilot, and were soon (after a somewhat bumpy ride) touching down on a tiny strip of cleared land in the midst of dense jungle. 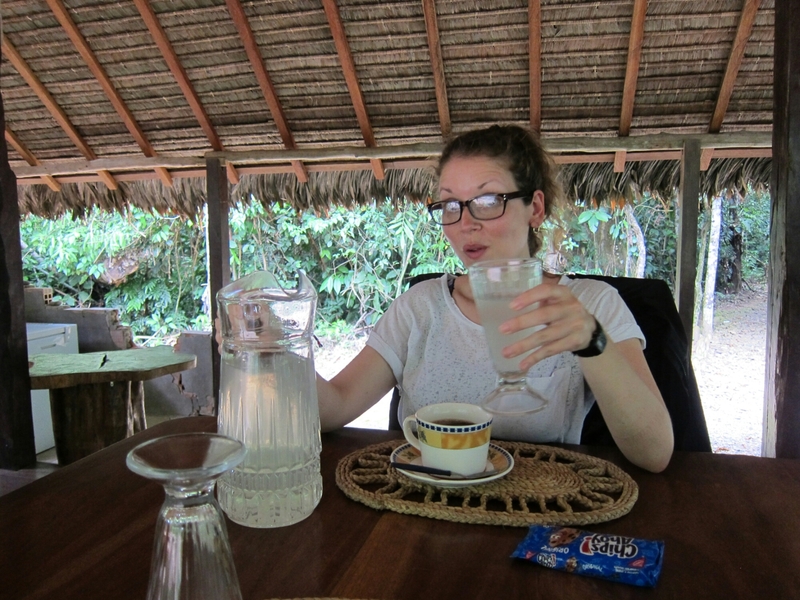 The oppressive humidity and heat hits you the moment you arrive, you know you’re in the Amazon. We’d specifically picked a company that would take us as deep into the jungle as it’s possible to go. 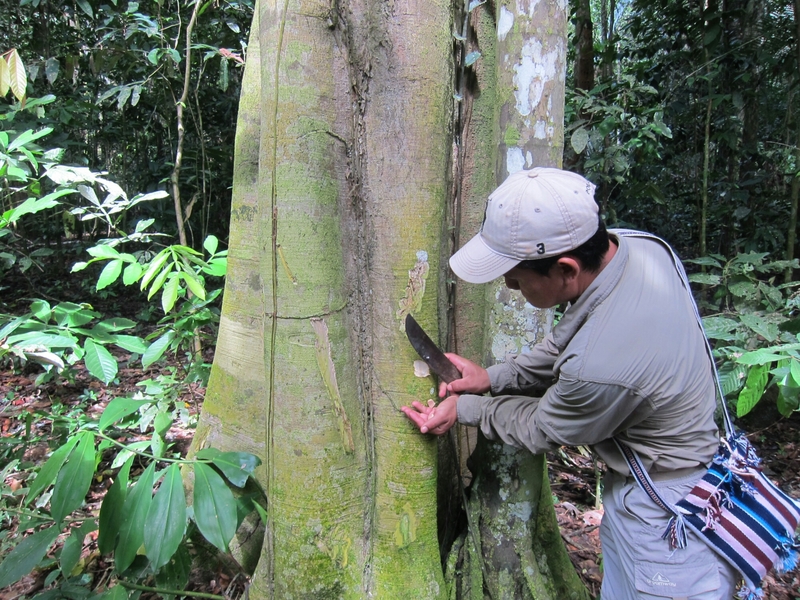 Berraco del Madidi are a small, fairly new company owned by a family that have lived all their lives in the jungle communities and know this terrain better than anyone. 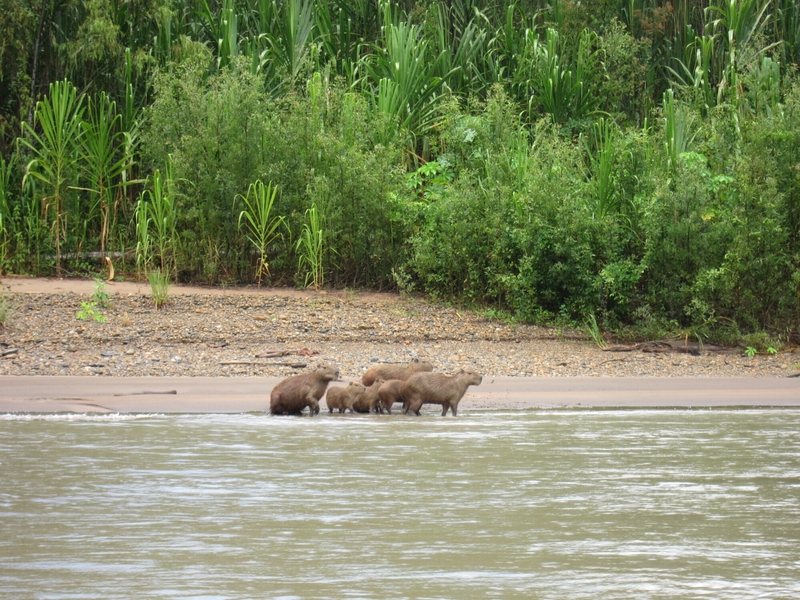 Their eco lodge is 6 hours by boat down river from Rurrenabaque (the town we flew into). It sounds like a lot but it flies by in spotting animals at the shores and watching colourful birds dart by. And once you arrive you know you’re in for adventure. Climbing out of the boat, crossing a wooden bridge and ascending stairs crisscrossed with perfectly organised lines of leaf cutter ants, you finally arrive at the camp. 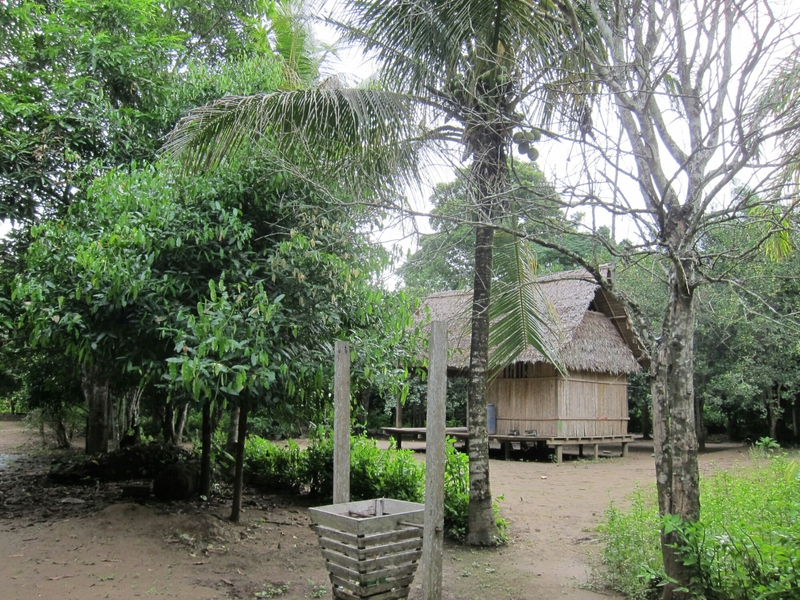 It’s comprised of various huts with thatched roofs, on platforms raised just slightly off the jungle floor. Otherwise they’re completely open to the elements. 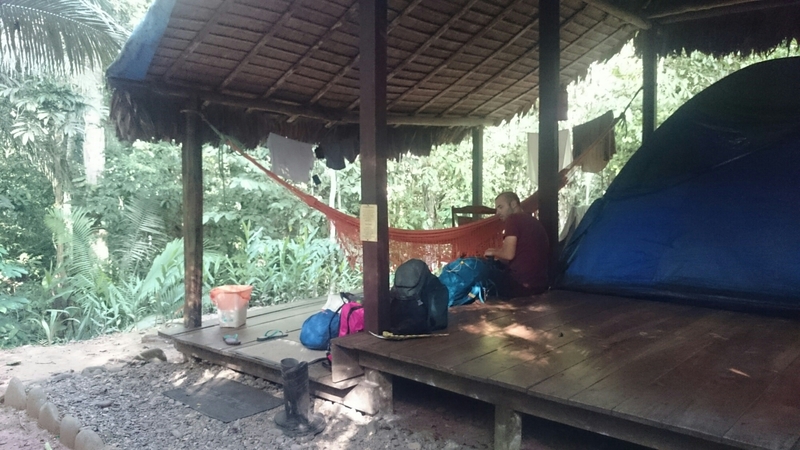 The ‘bedrooms’ are these huts with a hammock, chair, table and tent complete with mattresses. We were otherwise in the middle of dense jungle, with macaws passing overhead, deer coming past every so often, and more worryingly plenty of bugs of varying sizes flying through continously. 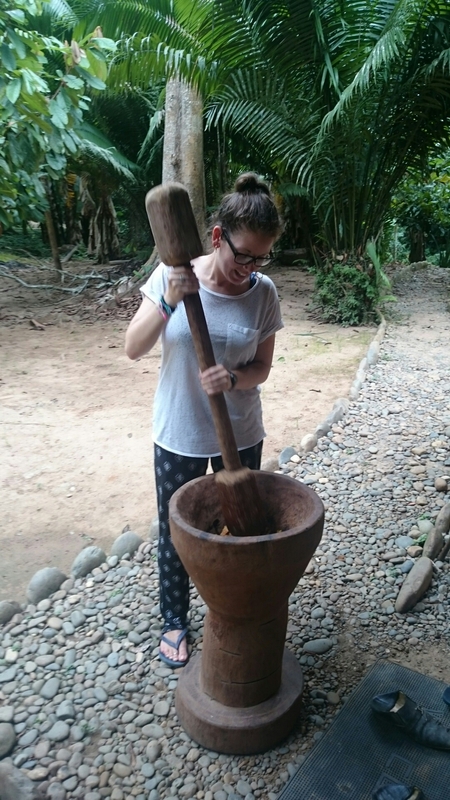 Our foodie adventure in the jungle began before we even arrived at the camp. We stopped off on the way at a community only an hour or so from Rurrenabaque, where our guide’s wife lived. There we explored the various fruit trees and picked a whole bagful to take for our journey. These are no ordinary fruit. Fruit grown in the Amazon are intense smelling, more colourful, more delicious than anything you could ever find in England. For the rest of the trip we enjoyed the best fruit juice of my life. 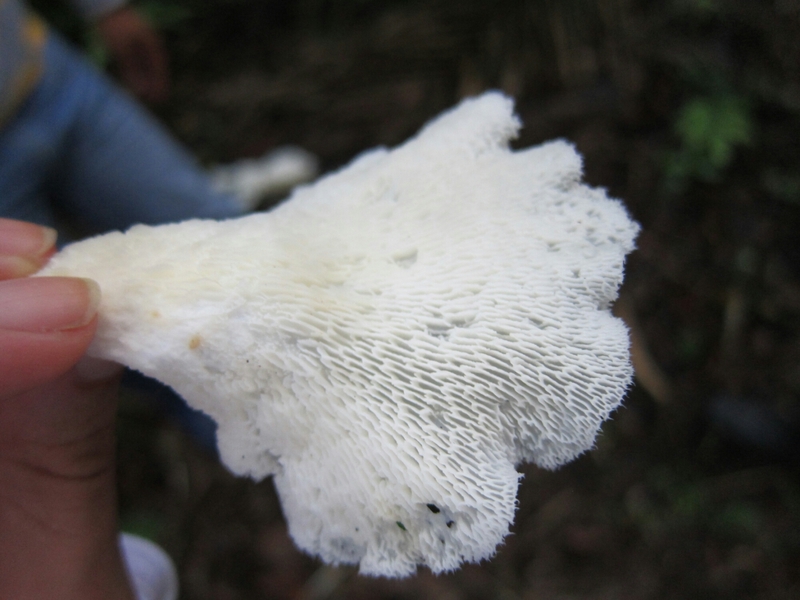 Our guide took us hiking along different jungle trails. 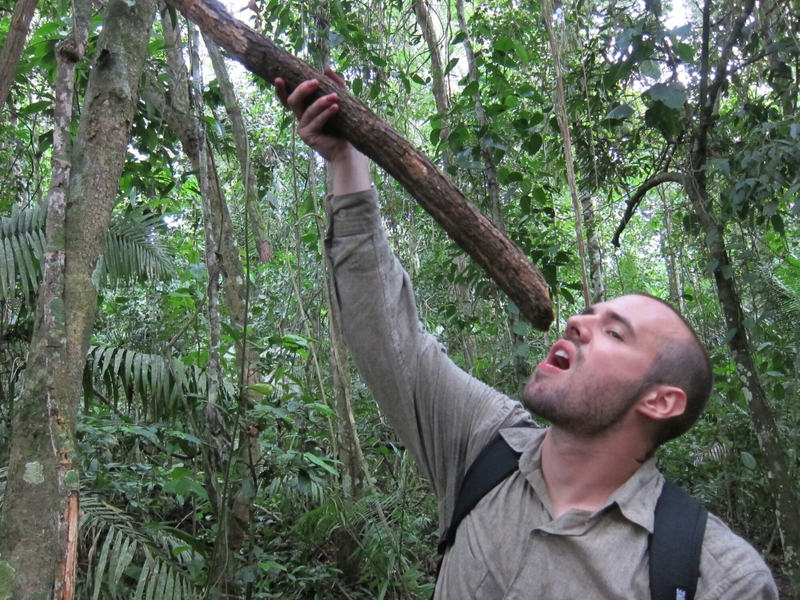 We discovered trees with strange and miraculous properties, lianas you could drink fresh water from and fruit I’d never seen before. 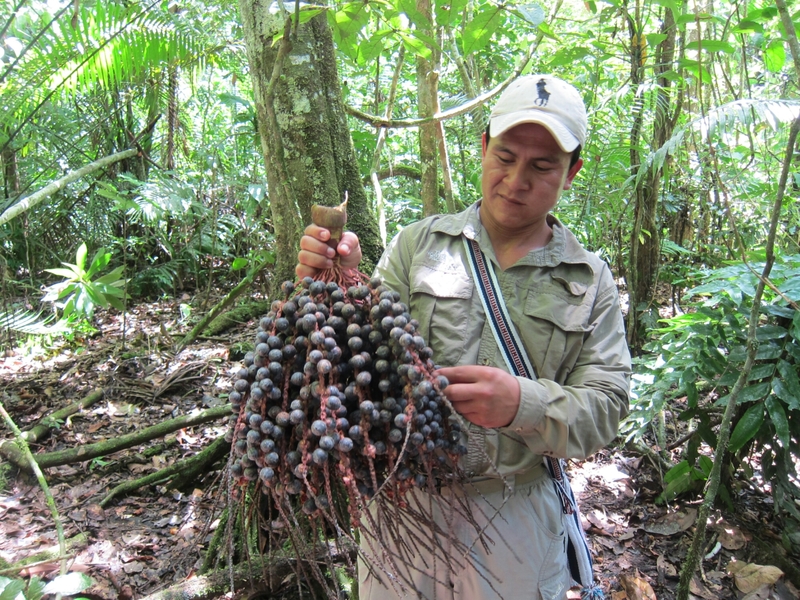 In the Amazon you can find trees and fruits for every human need, a key reason why the communities here have thrived for so long. 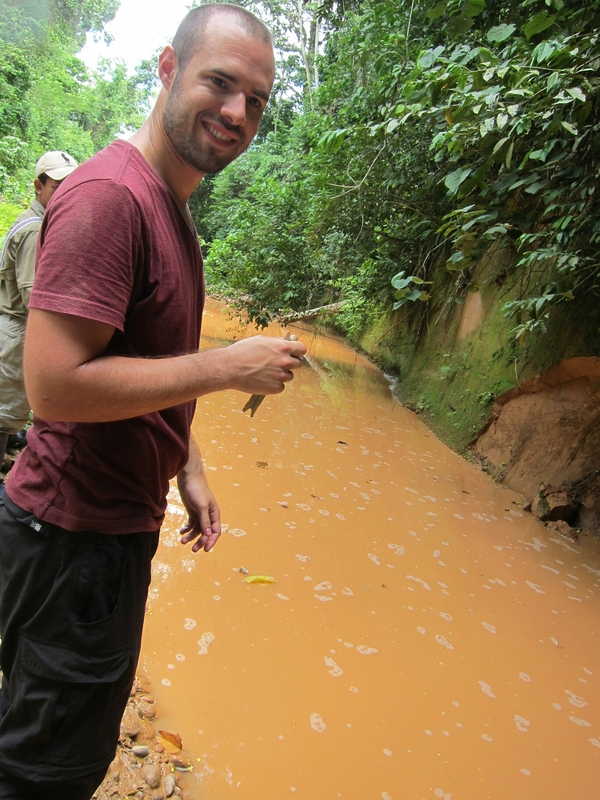 On our last day in the jungle we went fishing. First we dug worms from the ground, then used them as bait for small fish, having caught a few of them we took them to the side of the wide river and added them to our hooks. No fishing rods here, just simple lines with hooks. And within a few minutes of casting the line (with more than a little help from our guide) I’d caught a whopper (pictured above). This, I was very proud to say, was enough to feed the entire camp that dinner. And that’s not even mentioning the food we ate at Berraco yet. Having gone during the low season, we were the only tourists at the camp. The rest with us were all crew (the guide, his wife, the captain, his assistant and a cook), five staff just to take care of us two. The camp kitchen was huge, extremely well equipped and spotlessly clean. 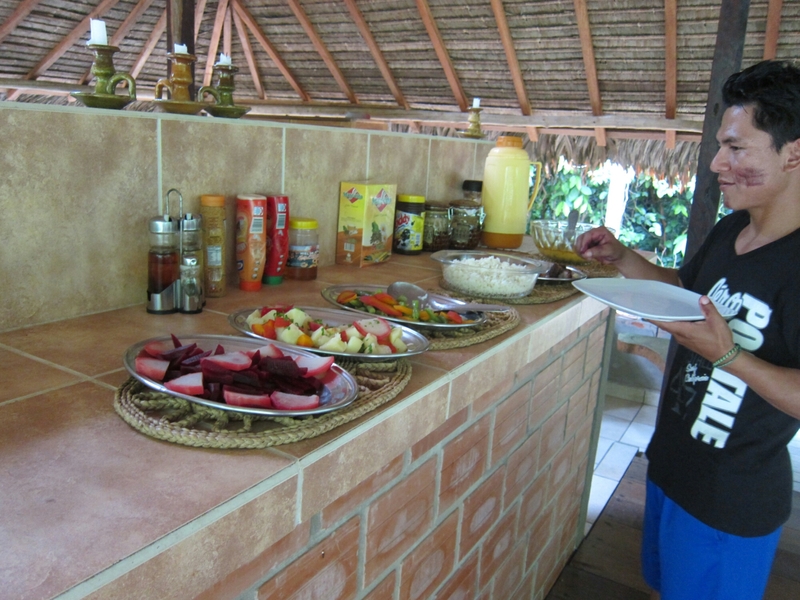 All juices made with bottled water, all food delicious and served buffet style daily for all 3 meals. We were in heaven. 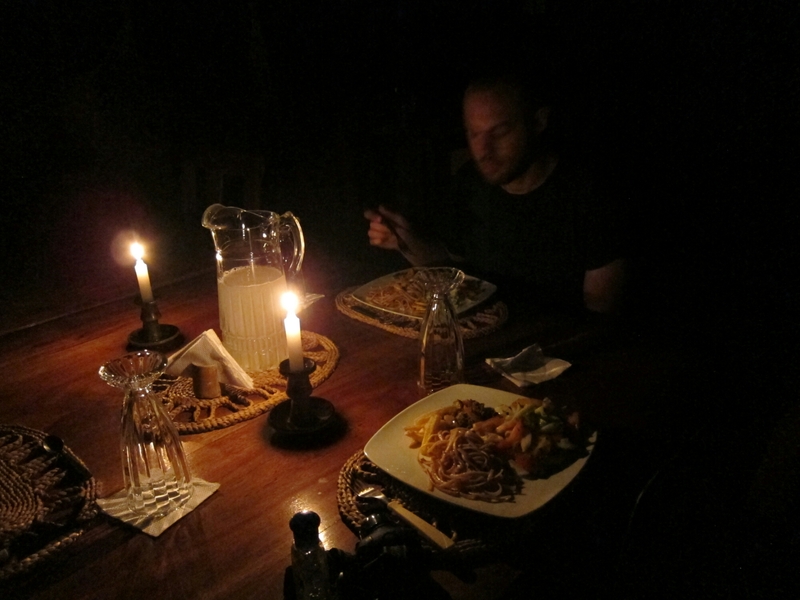 At dinner, as there’s no electricity in the camp, we ate by candlelight every evening and listened to impressive and terrifying stories our guide would tell us about the jungle, involving either jaguars walking into camp (of which we sadly saw none), the narcos in their jungle labs only a few hours away or uncontacted cannibalistic tribes whose members occasionally wandered through the nearby forest (apparently). Certainly intimidating but an unforgettable experience, rewarded every morning by waking up to the low growl of red howler monkeys in the distance and the chirping of colourful birds flying overhead. The jungle certainly is a once in a lifetime experience. I have never caught such a big fish in my life. It was giant! I was terrified when it came out the water!